The popular US-based fiat-to-crypto exchange Coinbase is considering if it should submit a proposal for a bitcoin-based exchange traded fund (ETF) on its own, Insider reported. Citing “people familiar with the matter,” the article said that Coinbase is currently in talks with blockchain technology experts at the giant Wall Street asset manager BlackRock about launching an ETF or other crypto related exchange traded product. BlackRock is the company behind iShares, one of the biggest issuers of ETFs in the US. According to one of the sources, BlackRock’s representatives have not yet given Coinbase any “concrete recommendations” on the matter. 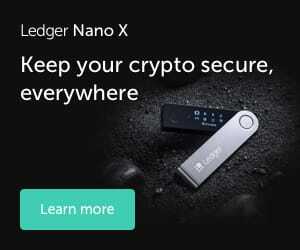 In the past, however, BlackRock’s CEO Larry Fink has publicly stated that his firm’s clients do not want any crypto exposure, while even going as far as saying that he does not see any reason to prepare for the possibility of that happening in the future. With these previous comments from the BlackRock’s CEO in mind, it appears that BlackRock is not likely to be interested in becoming an issuer of a bitcoin ETF at this time. However, its team does possess valuable experience when it comes to launching ETFs, which Coinbase may be able to take advantage of, even by working with a different issuer to bring an ETF to market. The race to bring the first bitcoin-based ETF to market seems to be getting more intense by the day, with many previous attempts having already been rejected by the Securities and Exchange Commission (SEC), the regulatory body tasked with approving new ETFs in the US. 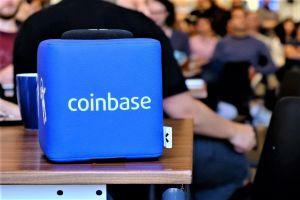 It remains to be seen whether Coinbase will succeed with its ETF efforts in the foreseeable future. For now, however, all eyes are still on the much-discussed VanEck ETF that the SEC is expected to decide on by September 30.